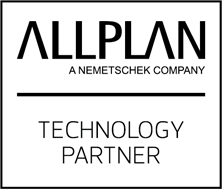 ALLPLAN is a leading European provider of software solutions for Building Information Modelling across the AEC industry with over 240,000 users across 41 countries. Civil Designer South Africa is an ALLPLAN distributor and technical parner for Africa. We have worked together to ensure efficient interoperability between civil infrastructure and heavy civil and structural design models across CIVIL DESIGNER and ALLPLAN software.